For thousands of years, cultures from around the world have been aware of the relationship between the physical universe and sound frequency. However, in modern times this relationship seems to be largely unacknowledged. Today, this relationship seems to span numerous disciplines of science as well as the areas of music and harmonics. Yet the key connection among these is seldom made. 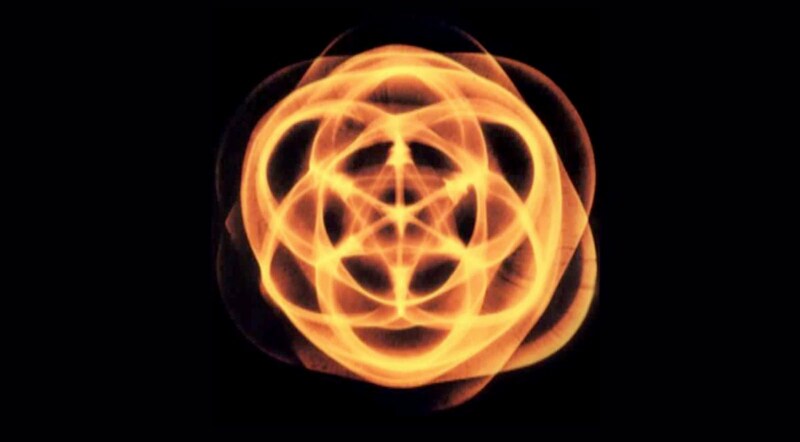 The scientific study of harmonics has yielded numerous discoveries and rediscoveries which point to the strong possibility that the people of ancient cultures were onto something significant. Though mainstream science has made subtle developments toward the same ends, it has only begun to catch on to the fact that sound is much more than a series of pressure waves. When I think back to math classes in school—Geometry, Trigonometry, Algebra—all I am able to remember are the basic principles which I never learned to apply to everyday life. The thing I remember most about these classes was being bored—extremely bored. These were subjects which were exhausted over hours of class time. Yet not one of these areas of study was ever presented as applicable in real life. It confuses me as to how such a broad-spectrum subject—a subject which is so widely applicable, and so massive in significance—could be presented as something as lifeless and irrelevant as we are taught in school. As alternative science has reveal over time, these subjects in mathematics are much more than we were taught to believe. It seems that in today's society, the interconnectedness of the various disciplines of science have been erased from existence. The common thread through these disciplines has been completely done away with so that the sciences have become largely unproductive to their own ends. This omission of the very backbone of universal functionality and form has hindered human growth for a century of time (if not longer). Yet as alternative scientists have proven, this connective backbone of vibration and frequency have proven to be more than just nice sounds designed for entertainment. The mathematical concepts revealed within this video cannot easily be disproved. 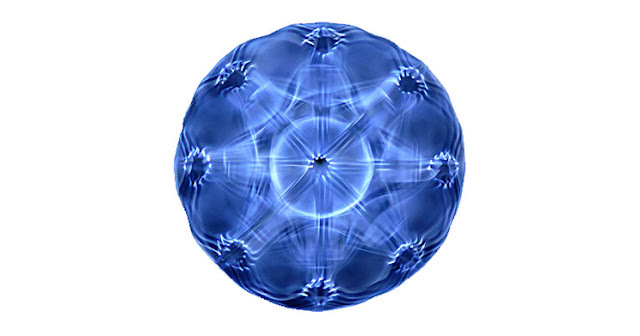 These are not arguable principles, as the study of cymatics has proven. Vibration, frequency, and the geometry they create are quite possibly the most consistent and provable facts we know today. We can see the inter-connectivity everywhere, and these can easily be measured. There may be those who will resist a new idea no matter how sensible it is. No matter how much evidence they may see and no matter how many verifiable, consistent results they are given, they will never accept the newness they are presented with. We are not interested in such an audience. The message of these possibilities goes to the intelligent and the courageously open minded. Yet with this openness to new ideas and avenues of thought comes the necessity of responsible foregoing of any conclusion. For the sake of thorough examination, let's consider the Platonic solids. There have been numerous articles in which I have covered the details for the Platonic solids. So for now, I will simply post a few of the links to those articles here. There are few facts about these solids that may not be taught in the average textbook. One of these is what happens when these shapes are nested inside of each other. When one solid form is nested inside of another with the points of the inner shape touching the outer shape, the points of contact produce exact iterations of the golden mean. 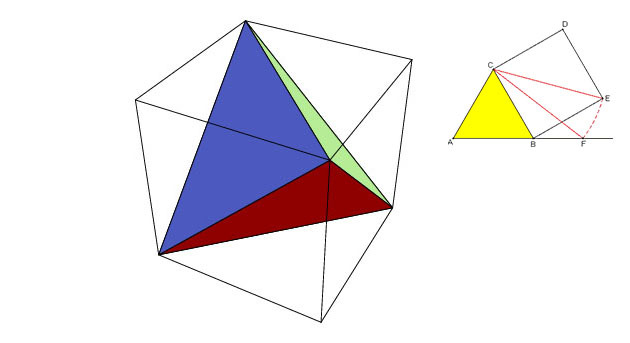 Note the sides of the tetrahedron bisected by the blue line. "Given an equilateral triangle ABC, erect a square BCDE externally on the side BC. Construct the circle, center C, passing through E, to intersect the line AB at F. Then, B divides AF in the golden ratio." Segment AC is bisected by line BD. The intersection created depicts the golden mean for both segments. This can be seen over and over again. It appears that this golden mean (also known as phi ratio) is a key ingredient in all forms of life on planet Earth, and can be seen throughout the universe as well. We can see the interrelationship between the platonic solids. 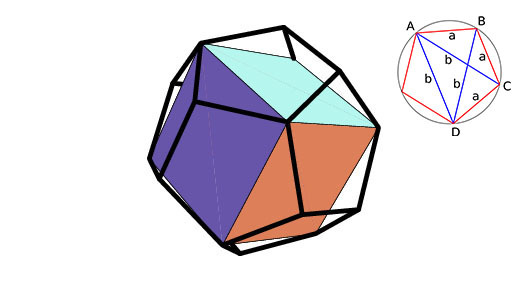 The cube and the dodecahedron, the cube and the star tetrahedron, the icosahedron and the dodecahedron, and the cube with the octahedron all show direct correlation among the pairs. These are unmistakable, mathematical congruencies. However, as we have heard, these are not simply shapes and expressions throughout nature. These platonic solids directly correspond to perfect harmonic of the musical key of F#. But what does this mean? These geometric forms relate with one another much like musical notes in a chord. When the notes of the chord are played together, they harmonize as though they were designed to be part of the same chord. In the same way, the platonic solids fit together in such a symmetrically consistent way that it seems that they were designed to interact. As it turns out, there is one common factor which ties these together. The Wholesome Scale: A Perfect Musical Scale? 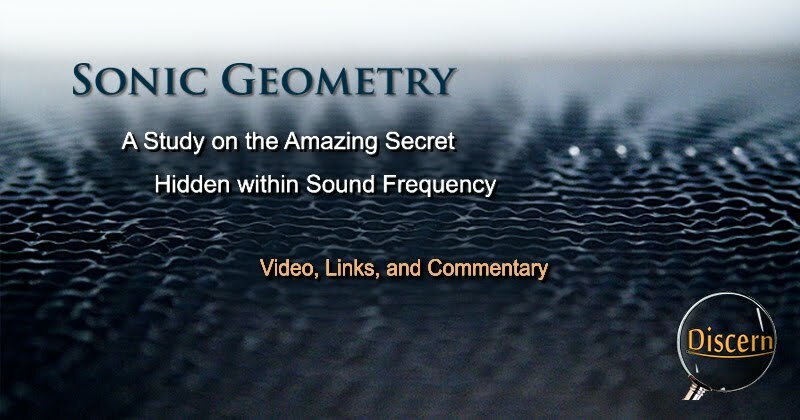 It has been proven through the science of cymatics that the platonic solids—the forms of standing waves created by perfect harmonic frequencies—have the ability to create these forms in fluid systems. All that is needed to produce these forms are water, a substance such as dye or sand to be suspended in the water, and the proper harmonic frequency. When these three ingredients are combined, the results can be any variety of fractalized, platonic solid forms. It is from mathematical correlations such as these that we realize that the seemingly disharmonious and unrelated worlds of the sciences and music which define the foundations of universal design itself are not so disharmonious. In many ways, these concepts are one and the same principles discovered in different areas which—for some reason—people have chosen to evaluate on completely separate fronts. For some odd reason, modern society has thought it best to omit the true meaning from the lessons of sound, form, and every last science we have a name for. However, despite the fact of a complete lesson, we are more than capable of finding these answers for ourselves.